Starting GPS Co-ordinates: N51 14' 40" W000 39' 40"
Finishing GPS Co-ordinates: N51 13' 80" W000 39' 30"
To see: Wallis Wood nature reserve. This pleasant, if short, byway diverges southwards from the excellent Pisley Lane with its ford, and this article is intended to be read in conjunction with the former. It proceeds on a relatively straight course on a good-quality, unrutted surface of leaf mould and earth through some well tended, cut back and very pleasant woodland called Holden Wood. After too short a distance the lane ends back on tarmac where it meets the residential road named Trap Lane, which still seems to be marked as a BOAT on the OS map. A quick word of warning: this lane is very popular with equestrians so take care lest you should bump into one of them. There's not a huge amount left to be said, and this short byway scores higher than it otherwise would due to it's proximity to and integration with Pisley Lane. 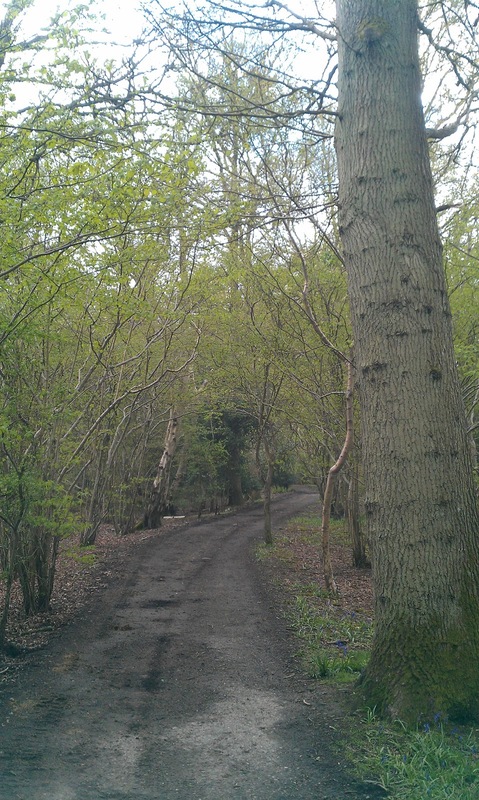 It escapes me entirely why 'nature' should be restricted only to reserves and national parks, but whilst you're here you should go and check out the Surrey Wildlife Trust's Wallis Wood nature reserve, which is astonishingly beautiful in springtime. 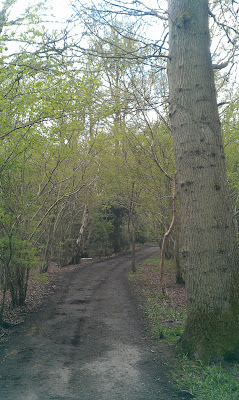 This is Surrey County Council's Abinger Byway 543.